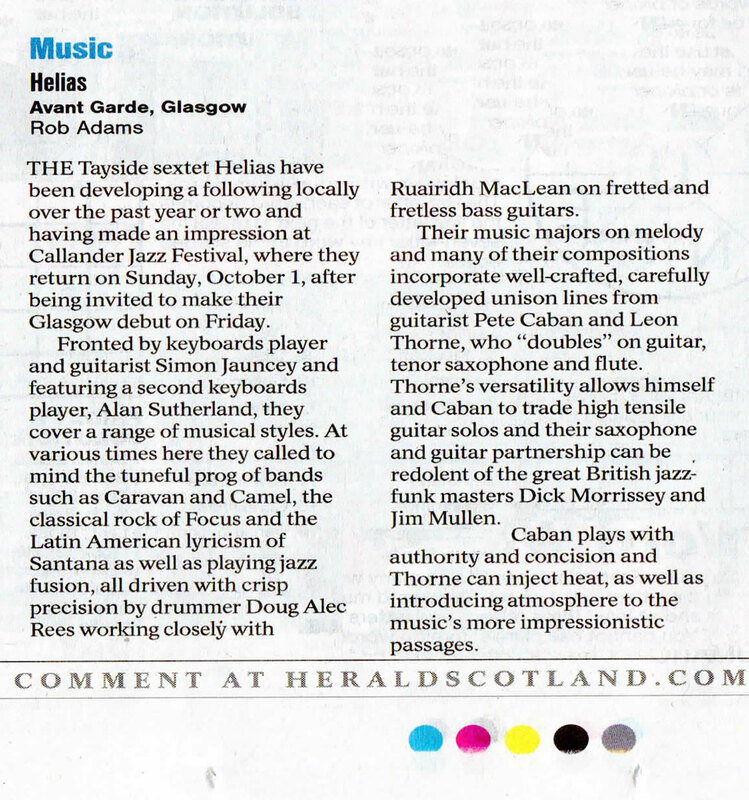 Helias was formed in 2016 to perform instrumental music written & arranged by Simon Jauncey. Drawing on the best local talent from Perthshire & Strathearn in Scotland, the band switches between poignant melodic themes, big cinematic textures & downright funky soul-jazz grooves! Simon lived for 10 years in Venezuela in the 1980s & studied with leading jazz musician Gerry Weil in Caracas. He is joined by virtuoso sax player & guitarist Leon Thorne, leading blues guitarist Pete Caban, Dundee bass player Ruairidh McLean, drummer Doug Alec Rees & veteran keyboard player Alan Sutherland. Helias, surprisingly, is an ancient Scots name, & their logo features the outline of the Sleeping Giant hills above Comrie in Upper Strathearn! Their next local gig is this Thursday 29 March at The Green Room in Perth. Their website has more information about the musicians, live videos, images and more, www.heliasband.com. You can also keep up to date via their Helias band Facebook page.